Premier Security & Electronics, Inc. is pleased to announce the acquisition of Infinity Technologies, Inc. We sincerely extend a warm welcome to all the clients who are involved in this transition. Premier Security is dedicated to providing you with the customer service and quality installations that you have become accustomed to. Please take a few moments to browse our site as we offer many additional services including Fire Alarm and Burglar Alarm Systems. Use your security system! Time and time again I speak with clients and non-clients that have a home security system, and they state they rarely use it. For me and my family, having and using the security system is as essential as having any other utility, like gas and electric. 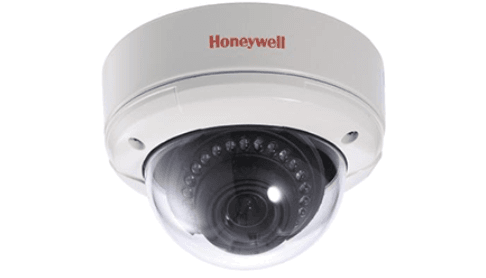 Business Surveillance Cameras provide consistent security for any small business in more ways than one. As long as you are regarding your employee’s privacy (in the bathroom, for example), the benefits of such a security measure make the minimal expense worthwhile. 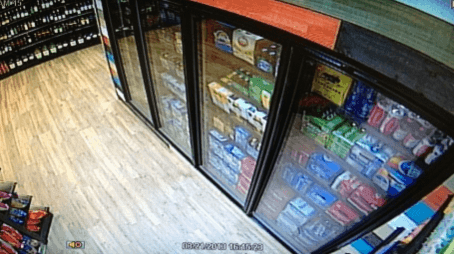 Businesses often underestimate the precise tactics of thieves and burglars. 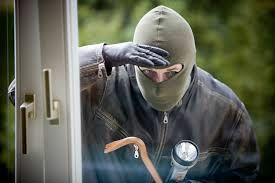 We are here to educate you with the Top 5 Ways your business is likely to be broken into so you can take necessary precautions to keep your home from becoming a statistic. 1. Evidence – Consistent patterns of coming and going, visual evidence that a business is or closed or a blatant absence portrayed on Facebook, Twitter or other social media are giveaways that a criminal has the go ahead to make their next hit with your business as the prime target. Whether your business is small or big, whether it is a neighboring shop or a company with multiple locations, it is very crucial that you take the right measures to protect your business against internal and external crime, fire and environmental hazards. Your business is your asset and hence you need the most efficient business security system to safeguard it. Choosing your business security system with utmost diligence is crucial. There are various security systems available in the market. They have different features and offers different levels of protection. Now how to choose the best security system? Must be wondering what to look for in a business security system? It’s your business and you want to do all that you can to protect it. It’s your business and you want to do all that you can to protect it, your customers and employees. Thus the first thing that you must look for it’s the reputation and experience of the company. The company must have a good reputation in providing industrial security measures. Providing business security is not a piece of cake and hence you need experienced personnel. When it comes to protecting your business, trust our knowledge and seasoned expertise. Once you choose 2-3 companies you must ask for a demonstration of their services. The best business security companies will not try to sell you over the telephone. Thus you must take a look at the live demonstrations of the system. You might need some extra features or might want to eliminate certain features. See whether the company can provide flexible solutions. While evaluating the system also ensure that the company is using innovative security technologies. If you install a 19th century old security system then it will be as same as the absence of any security system. Ensure that the company has a well-connected and well monitored customer monitoring station. The company must ensure that if one station fails then the protection is seamlessly transferred to another Customer Monitoring Center, ensuring that you receive continuous and reliable service. The alarm triggering methods should be very sensitive. Even a small breach of access or unfavorable conditions must be detected by the system. The monitoring station should also inform the client about any breach of protection. As a business owner you must first specify your needs, what assets you want to protect, to what level of protection you want, what is your budget and so on. Once you have defined these then you can look for the providers of business security system and choose the best from the available options. Remember, choosing your business security system is vital to the protection of your assets, employees and customers. Get your business security system estimate today. 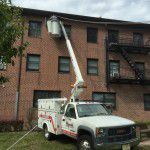 With their previous systems not functioning consistently, and lacking image clarity, The Hightstown Housing Authority chose Premier Security to install a new IP based surveillance system consisting of 31 exterior High Definition cameras throughout the complex. Our expert team of installers handled the entire installation from start to finish for the Hightstown NJ Security System. Tasks included running outdoor rated Cat5e cable protected with EMT conduit, guide wires, roof penetrations, focusing and adjustments and programming the NVR for local and remote viewing by authorized personal. As always, we kept the facility clean while working and when we left each day.